Okay guys, my car has been giving me problems for the last year or so with starting and other issues. It is literally and I kid you not, one fkn thing after another. The car will be going up for sale once I fix the issues. But one problem I cannot get passed is the starting issue. 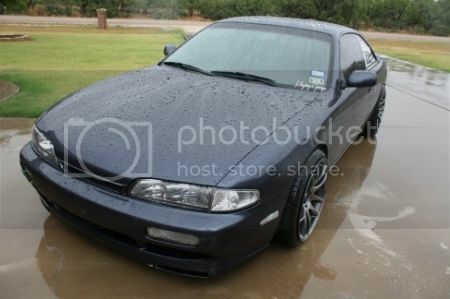 I have an s14 sr20det, the starting issues have been persistence for almost a year now. I originally began to think it was my battery starting to go dead. Sure enough my battery was well outta date but still had a bit of juice in it. About a month ago I was trying to figure the issue and while under the car I was messing with the starter, banging it and what not see if would engage, never did until I accidentally jumped the starter with a volt meter and it turned over. Immediately I knew the relay must have been bad. So just 2 days ago after the car had been sitting for months. I got new battery anda new starter. I installed them both. After jumping the battery to be sure it had good enough starting power, the car started up just fine. I let the car die then tried again...nothing. Jump it again and it started. I left it alone until today because I needed to replace a fuel line. Although This morning just or shits and giggles I wanted to see if it would start over, and it did! Later on when I got home, I tried again and it turned over (I didn't start it though because of the leaky fuel line.) Anyways so after installing the fuel line. I start her up and she runs perfectly fine W/O a jump. I go for a drive and stop to get gas, as soon as I try and start it, there was a very slight hesitation. Didn't think too much of it but it did worry me. Got home after a little drive and then tried starting it up immediatly after I shut her off and nothing. Not even a click from the starter, or if there was I couldn't hear it at all. Only from the fuse box under the dash could I hear *clicking. Tried countless times after and nothing, this was what my original problem was from the beginning and I'm nearly to the point of just getting rid of the car and taking what I can for it. Sorry for such a long read, I apologize I just really REALLY need someone's help with this. If you have any suggestions please let me know. Also, I intended to see if my alternator is bad but I don't know how to check that, my jumping cables have a tester built in that'll tell me if my altenator is bad but I'm not sure I could trust it. But if anyone knows how to check the alternator w/o taking it to an auto shop, please instruct me on how to do so. Thank you guys! Let me know if I missed any info you would need to further help me help you to help me lol. Last edited by ZenkiZenki14; 12-02-2015 at 09:27 PM. to check alternator, put a voltmeter to the battery while the car is running, it should be at ~13.5-14v at idle, then ~14v at about 2k rpm. but you would know if the alternator was acting up because the coil packs hate anything under 13volts going to them. Have you tried giggling different parts of the harness then seeing if it will start? something is obviously intermitting and I am guessing it is a connector or wire somewhere bad. Also have you tried messing with the key to see if the ignition tumbler is the problem, these cars are getting pretty old now and sometimes it can take a magical touch when turning the key to get it to turn over. Hm, okay well she ran perfectly but I'll still check on that first. And yes I have but only around in the engine bay, I'll have to cut the harness to really move things around. What about under the dash? Any specific areas you would know of? Sorry if that's a broad question, Just curious. And yeah, I have always had some sort of electrical issue but eventually it would work itself out. I honestly just have NO idea where to start when it comes to diagnosing electrical unfortunatey/: And not exactly, how would I go about checking the tumbler? Taking it completely apart? I really think when this engine was swapped in, it wasn't to the best of the guys ability or he was just lazy because there are useless connectors hanging everywhere under and around the engine bay. It would seem then first effort would go towards normal things, check the alternator and make sure it is charging fully. Then clean up wiring. Seems to me it would be more along the lines of a bad connection or splice some where. Locate all splices and problematic areas, then do like snafu had said, and if you get it to run and idle, start moving and jiggling the wiring harness. Not rough, but just enough to make sure everything has good solid connections. It can appear to be good when looking at it from the outside, but a bad wire can be difficult to find. Okay so today as soon as I got home, hooked the jumpers up and she cranked instantly. After a min of running I turned it off for about 10mins, (keep in mind how long I waited) tried again and nothing. Hooked her back up and she cranked instantly. The only thing is if it was a pliced wire or bad connection somewhere wouldn't the car be unable to crank regardless if jumped or not? That's the only thing I don't understand. Only time it ever Cranks is when jumped, and then twice back to back after that until it doesn't start again. I checked volts at idle and it was over 14v and didn't drop and when off battery was around 12.20v if that matters (it's a new battery). Therefore the alternator is still healthy I assume. Something is draining the battery at an extremely fast rate. I just can't comprehend what that could be. Tomorrow Ima open up the harness to get a better look. Last edited by ZenkiZenki14; 12-03-2015 at 07:23 PM. Nothing is draining your battery in 10 minutes. My guess is a bad battery terminal/connection. Pull the cables, clean everything real good, and make sure you have a good, tight connection. Sometimes the cable ends can corrode so that even if you tighten them all the way, they never get tight on the battery post. this, also your battery could have a bad cell in it, where the only way you can tell it is bad is by doing a load test. Most auto parts have the equipment to do the load test but make sure they actually do it since a lot of them are lazy you know whats and will just check voltage and throw you back out the door. One time I went to the autoparts to get a new battery, came back home didnt work, went back up there got another, came back, didnt work yet again, brought it back up there and they said well its showing 12v but it isnt working, so I made them do a load test and it ended up being a bad cell. Grabbed a battery from a different shipment and it was good to go. how would I go about checking the tumbler? Taking it completely apart? Just play with it, with the key in different positions, pushed it a little more, pulled out a little more etc etc. it sounds like it is something else but wont hurt to try and maybe its a coincidence on the symptoms. But for instance on one of my s14's the accessories (stereo, windshield wipers, etc) would not come on unless the the key was turned back a little after the car started. Last edited by SnafuPossum; 12-06-2015 at 12:17 AM. I replaced the battery after I found out the other new one I had gotten was sitting on shelf for 3yrs. To add, I cleaned up all my major grounds going to the starter battery etc. Still did nothing. I checked fuses, all good. No way it's the key tumbler because it starts when jumped no problem. The starter is brand new, the alternator stays at a Constant 14.40~V when running. Therefore that's not the problem. And all connections are tight. This simply makes no sense to me. Could it be that need to replace my lower harness? Also I read about the clutch safety solenoid going out and causing this problem as well, but where is this located at? Also isn't it directly connected to the small starter signal wire coming off of the starter? Think maybe it should be replaced? This car has been the biggest headache for the last 3 years. I just want to fix it then sell the damn thing. Mine did this years ago, doubt its your problem too, but it was my ecu! Drove me NUTZ! "We won't bring flowers to the apocalypse, just lots and lots of tires!" Your ECU? How did yo figure that out.